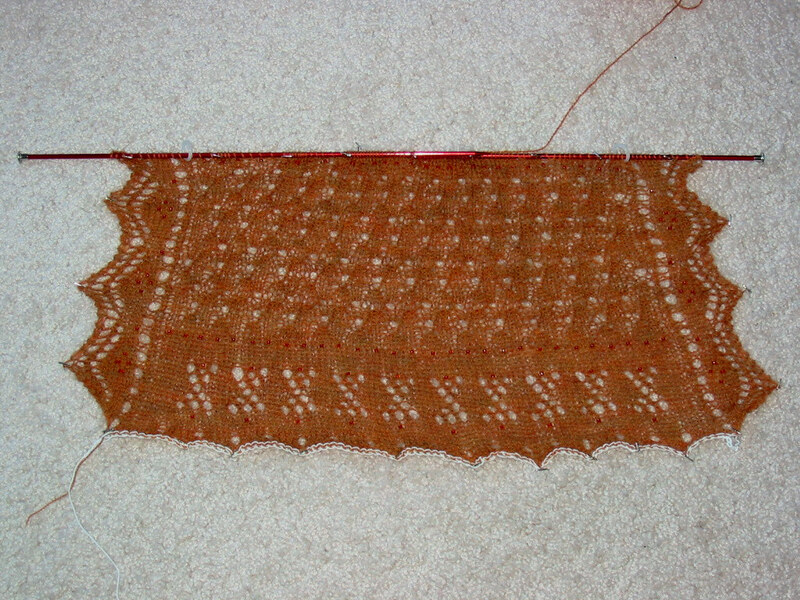 I finished the 2nd clue in the Casablanca Shawl KAL. It looks good! I even started the 3rd clue today. It is going pretty fast. 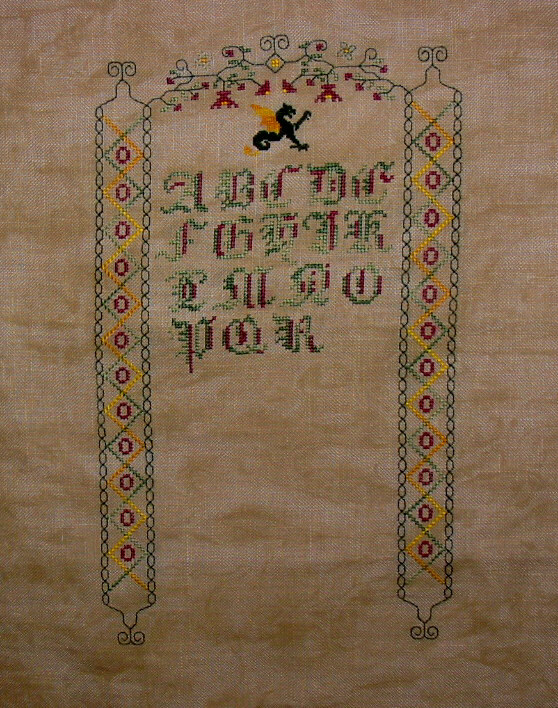 And here is a look at my Medieval Sampler that I designed. It is coming along. Just a few more letters to go and then the bottom motif and beading. This summer, I hope is going to be productive. I do want to work on my UFO & WIP piles.